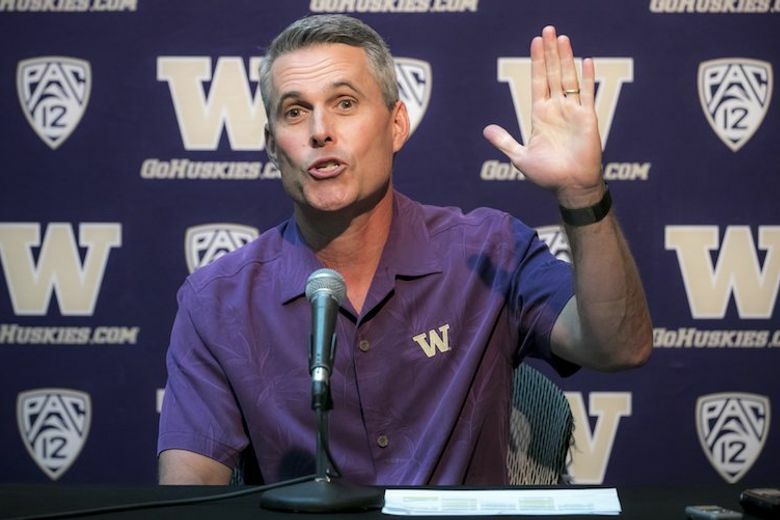 Petersen on Smith's tenure as the Huskies' OC: "He's a heck of coach. I think we saw eye-to-eye on a lot of things. Where we started with the offense to where it ended up when he left was really good." (Better to go into the bye week with a win?) “I don’t know. Probably. There’s nothing like losing and have to sit around for two weeks. It was just good to get back to work and kind of get back to some basics and get the kids really rested up was the good thing. Maybe it’s just because it’s so much later in the year. (How can you flip a late bye week into a positive?) “I don’t think there’s anything to flip. I think the guys feel pretty good that they got this time off. I think they used the time wisely, like I said. They lifted a little bit. We’re not out of shape or anything like that. And got rested up. I think it was much needed. It might not have been as needed had we had it earlier in the year but certainly now it’s good to have. (What does that look like?) “It’s every day. That’s what our program is all about whether that’s for our players. So many team meetings. I’ve probably had more coaches that I’ve been with over the time say, ‘I’ve gotten more out of the team meetings than probably the players have’ when I’m talking to the players about how we’re going to do things. That’s one of the reasons that I stay on the philosophy that we’re on. It’s not always about the players. It’s about us as coaches first. I like to pay close attention to the philosophy that we’re all about, first and foremost for myself. I like to continually remind myself what we’re all about, about what I want this program to be about, about how I think principles of success carry over to all parts of your life. And so, that’s what I do. Kind of nonstop.